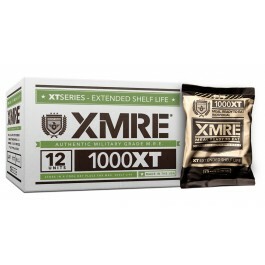 The XMRE 1000XT provides 900 – 1,200 calories of US military grade, ready to eat meal components. All components are field tested and fully cooked so they can be eaten right out of the pouch. The 1000XT is always freshly packed with complete nutritional information printed on the back of each bag. The XMRE 1000XT is designed as a military MRE that can also meet the needs of the civilian market. 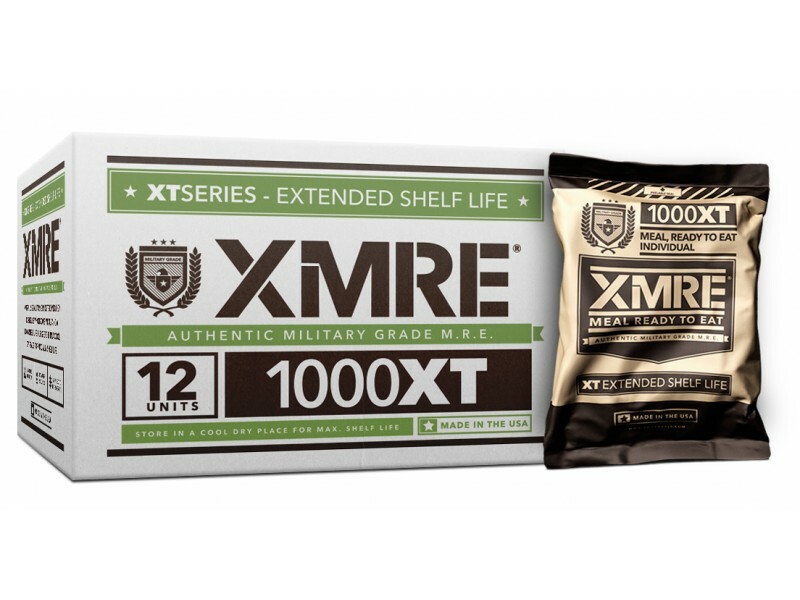 Each XMRE 1000XT contains: Entrée, bread item, spread, snack/dessert/side, beverage and an accessory kit including instant coffee, non-dairy creamer, spoon, napkin, condiment kit and moist towelette and a flameless ration heater (FRH). All components are packed in high-density water and tamper proof XMRE XT Series outer bag and embossed with a lot number (pack date) on each bag and case. Entrée, bread item, spread, snack/dessert/side, beverage and an accessory kit including instant coffee, non-dairy creamer, spoon, napkin, condiment kit and moist towelette and a flameless ration heater (FRH). All components are packed in high-density water and tamper proof XMRE XT Series outer bag and embossed with a lot number (pack date) on each bag and case.